Now that India has announced their squad, Vijay Shankar has been announced as the new number 4 for India. 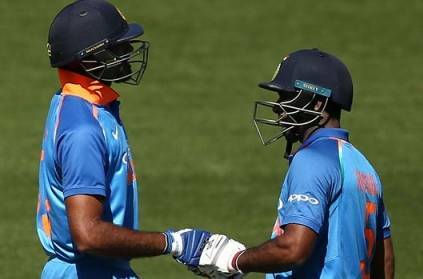 Some feel that this really is not fair on some of the other players such as Ambati Rayudu who have played in that spot for a while leading up to the world cup. Since Virat Kohli took over the One Day captaincy in 2017, 11 players have been tried at number 4. Out of these 11 players, Ambati Rayudu has had the most number of opportunities with 15 matches scoring 464 runs at an average of 42.18. Yuvraj Singh has had 10 games where he has scored 538 runs at an average of 44.75 and Dinesh Karthik has got 264 runs from the 9 matches at an average of 52.80. All the other batsman have had limited opportunities. Looking at the three batsmen, all of them have done quite well in the chances that they have had. Ambati Rayudu was the latest option that India has tried and was almost certain to make it to the team. He would consider himself very unlucky to miss out in the squad. However, this is a great opportunity for Vijay Shankar. He has the ability to perform well at this position and hopefully, he can win matches for India. This page contains news relating to various facts and events. The views are generally about current affiars and general topics in diversified areas such as political, international, national, and regional issues, sports, health, travel, lifestyle, technology and business. People having similar interets on the above topics will find this page useful. Players India have tried at No 4 since 2017 | Sports News.